Easily add club registration or other fees and let the system calculate the amount each member owns. Enter monthly recurring fees with different due dates so members know when a payment is due. 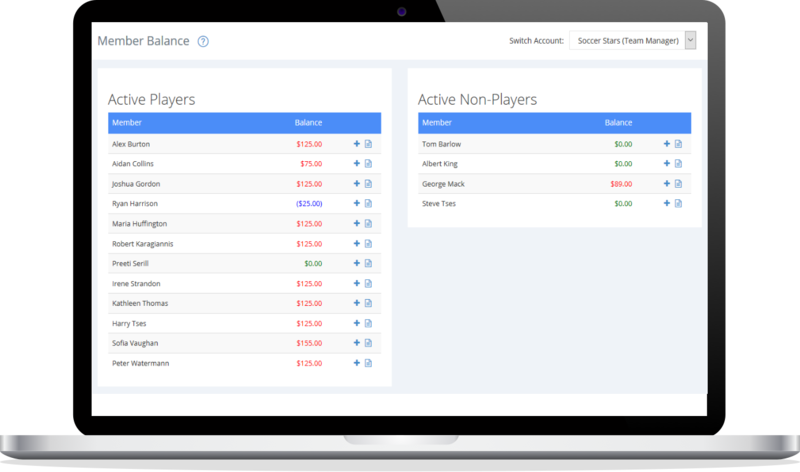 Club Fees can be applied to all or only a few team members, even guest players. Members can pay for club fees online using a credit card (offline also). Check how much each member owes in a single page. Members can check their balance (total or due) using any device. No more "how much do I owe you?" questions. Keep track of each transaction without the use of spreadsheets. All club fees, payments (online or offline) or charges are listed and balances are calculated automatically. 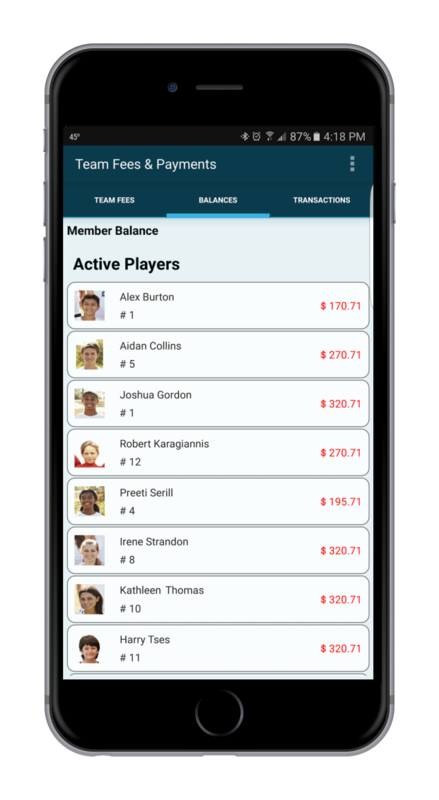 Members can see a log of each transaction recorded in the system. Send balance reminder emails to all the members with an outstanding balance. Reminders will be sent to deactivated or even deleted members, as long they have a balance with your team.